Looking for more recycled garden crafts? 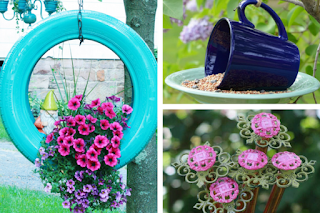 I'll walk you step-by-step through how to make these adorable plant markers. 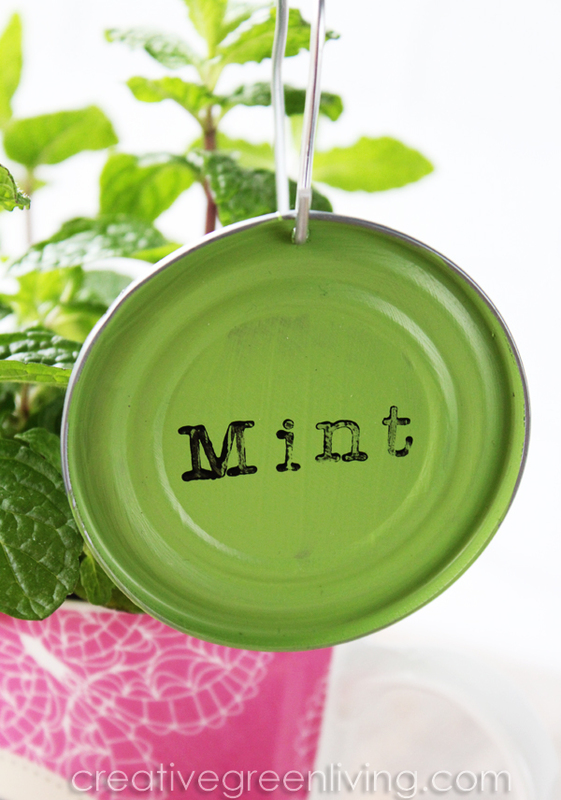 Once you see how easy these garden markers are to make, you will want to use this technique every time you need to label a plant or make a gift tag! **I use a Pampered Chef Smooth Edge Can Opener which unglues the can instead of cutting it - therefore no sharp edges! I cannot recommend this can opener enough, especially when using cans for crafting with kids. This is the original video that went live with this blog post when it was first published in 2015. You might notice that the style of stamps used in the video demo varies slightly from the stamps used to make the project in the updated images. The technique is still the same. 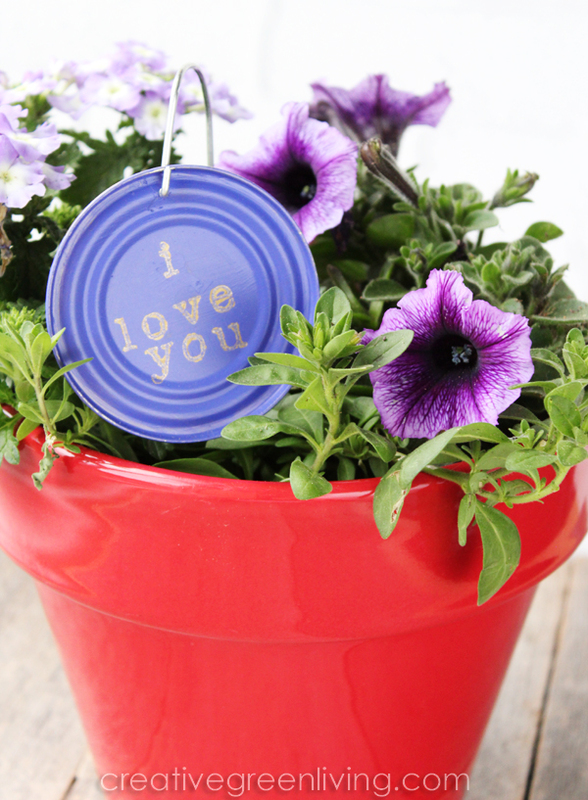 You can choose if you would like the paint the background of the plant marker like I did in the demo photos or if you would like the stamp the words directly onto the metal. 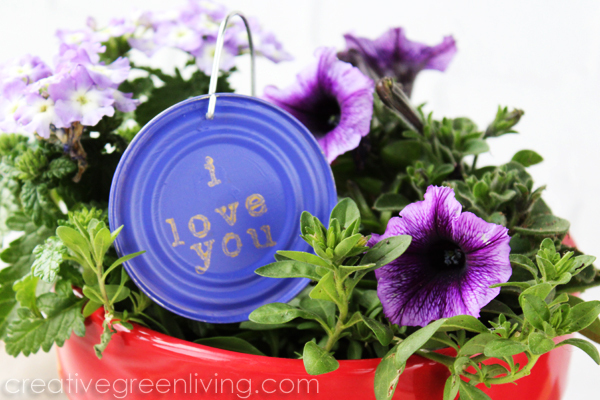 If you would like to paint the can lid, paint one or two coats of FolkArt Outdoor Paint or FolkArt Multi-Surface Paint onto the lid of the can and allow it to dry completely. Use your Dremel Micro Tool or drill to drill a hole in the top of the lid for hanging. Cut approximately 12-18 inches of 12 gauge jewelry wire. Bend the top into a hook shape. Use the pliers to bend the end up. Thread can lid onto wire before bending up the rest of the way. Curl end of wire under if desired. 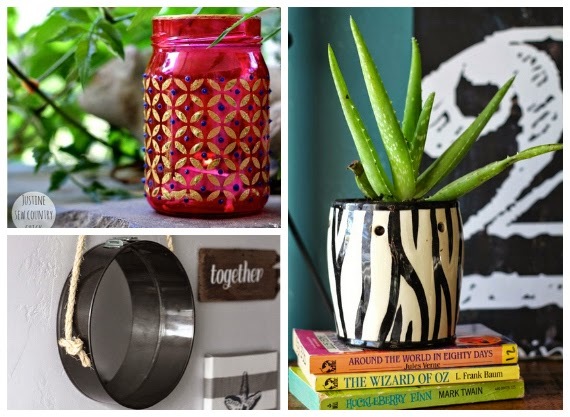 Once the paint is dry, it's ready to go outside or in your plant pot! Carissa, these are adorable! Great idea! Thanks so much for sharing with our products! Cute idea! Couldn't resist pinning the mint one! Thank you for sharing this post really great and wonderful Idea.